Pairing sparkling wine with food is not always an easy task, however some of the country’s very best restaurants have famously placed fine Champagne alongside fine dining dishes. Hampshire’s Exton Park, led by inspiring winemaker Corinne Seely, are following in these footsteps with a mission to place their distinctive English Sparkling wines in top dining destinations across the country (and beyond!). 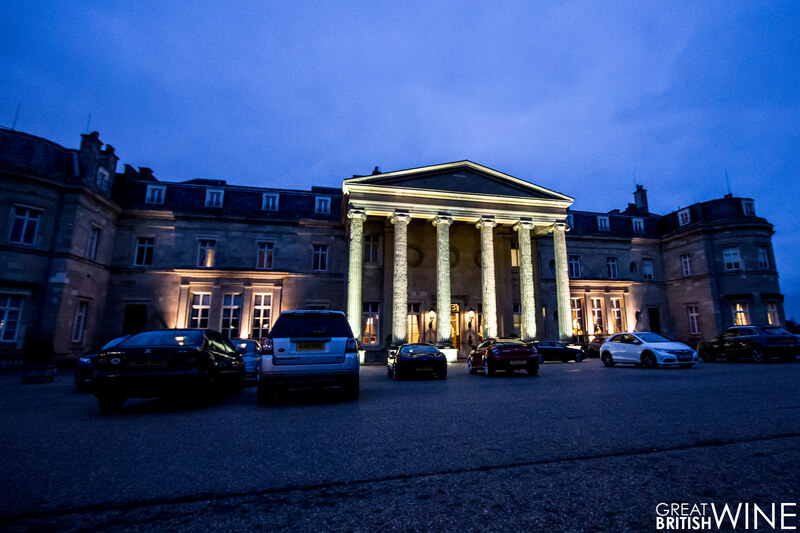 I was recently invited to attend an intimate dinner at five-star luxury spa hotel Luton Hoo. 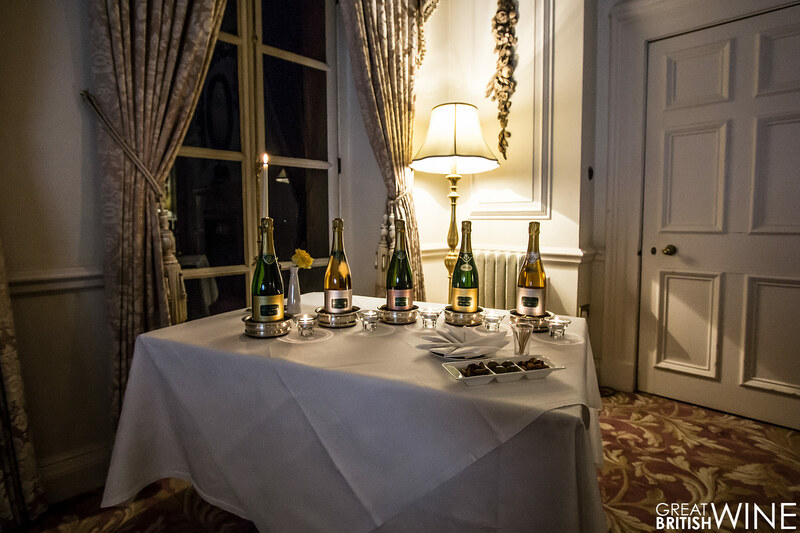 This exclusive event was the first ever Gourmet Wine Dinner at Luton Hoo to focus entirely on English wines, launching Exton Park’s fine range of English Sparkling to the hotel’s discerning diners. Before the evening commenced I had opportunity to spend half an hour with Corinne and Sales & Marketing Manager Kit Ellen for a chat about fine dining, English Sparkling wine and what’s next for Exton Park. This is the first of a two-part series, be sure to check back soon for part two; a full low-down on what was a wonderful evening of fine food and wine. Today we are at 5 Star luxury hotel Luton Hoo on the evening of the first ever Exton Park gourmet dining experience. How does it feel to be at the start of this new journey? Corinne: It is an honour to be here tonight at this prestigious hotel. We already have tried various food pairings with Exton Park wine, but this one is very special! John: How did you approach the food and wine pairing, were you working closely with the chefs at Luton Hoo? Corinne: We worked very closely with the hotel chefs, notably Aimee Reddick. First of all we gave her some ideas and food combinations we had already tried to inspire her and she was amazing! She came back with fantastic dishes. We then tasted all the wines and we really tasted them with the food. The team composed, created, invented, and we ended up with this stupendous menu. Kit: It was a really fulfilling process, because Corinne has got a real skill for food and wine matching and getting it just right. But what we did with this dinner was submit wholesome suggestions such as wild mushrooms. They were quite broad suggestions, and Aimee did a really good job of going away and taking those ideas and putting a spin on them. John: So very much a team effort, not just for Exton Park, but also with the team at Luton Hoo, brilliant! What are the next steps needed to ensure more restaurants and hotels embrace English Sparkling with a view of food pairings? Kit: In my mind, our wines at Exton Park are very well designed for the on-trade, for restaurants lists and bistro establishments. To a certain degree this category and our wines within it do require a little bit of explanation and communication to really describe what they are and the processes the winemakers have gone through to make them. On-trade establishments are set up to present customers with staff who are well-informed and keen to work closely with producers. In a restaurant, these people are on hand to make recommendations, and to talk customers through the charm of wines such as ours, and which dishes they go well with. Corinne: Also I can see that sommeliers and chefs are more and more enthusiastic and convinced of the quality. 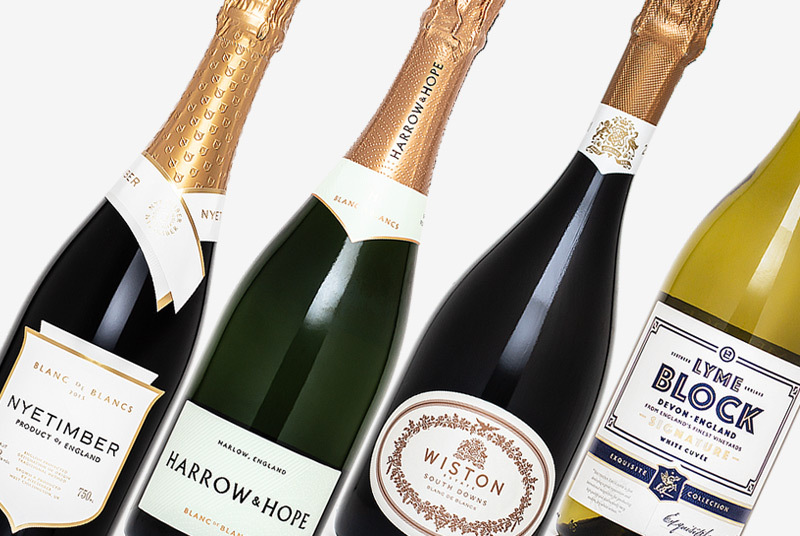 Since the last few years, everybody has seen how English Sparkling Wine quality has improved. This is something recognised now. It is time now to have a special quarter on the wine list for English Sparkling Wine. Everybody is ready for that! John: I think we are ready to go past the stage now where on the standard wine list in England there is Champagne and then there is ‘Other Sparkling Wines’. 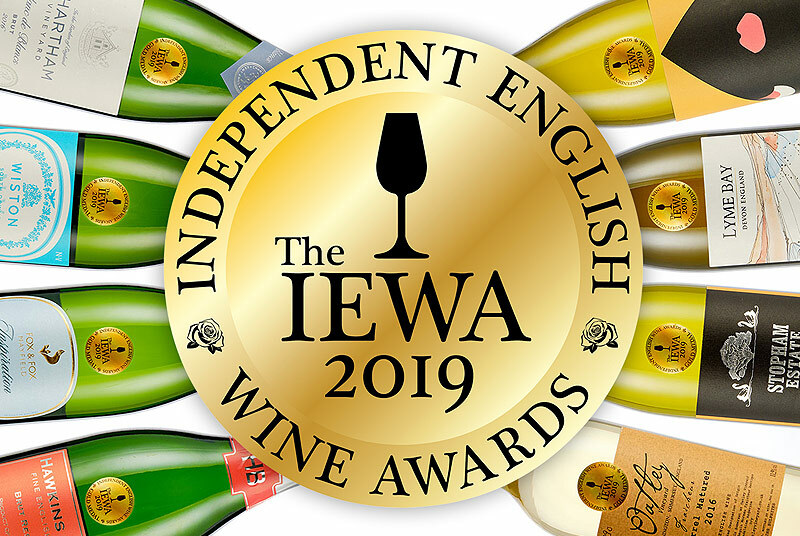 We have the quality we have the consistency, so we now need to start and make ourselves known on the wine lists and to create an identity for the English Sparkling Wine category. Corinne: I’m completely with you; that’s why you are here! "Our wines do require a little bit of explanation and communication to really describe what they are and the processes the winemakers have gone through to make them." 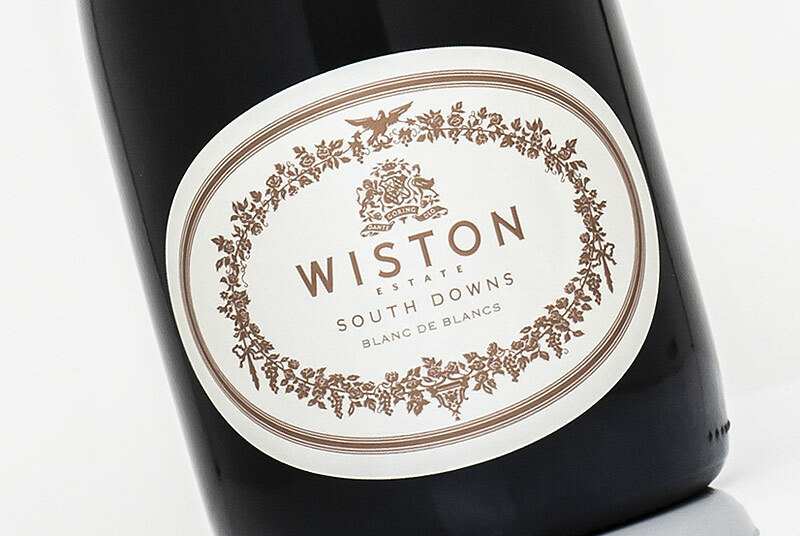 With Exton Park positioning wines at the premium end of the market, how do you envisage making your wines accessible to the on-trade? Corinne: Before Kit answers, I would like to say only a few words: I believe in the sommelier. I believe in our wines. Our philosophy at Exton Park of making consistent quality of non-vintage wines and sometimes special Cuvée I think corresponds with what the on-trade is looking for. Now what is Sales’ point of view? Kit: I think a big theme, slightly larger than English Sparkling Wine without wanting to complicate things, is ‘Brand British’ – English and British brands. Buying products closer to home and local, I think all of that carries a real cachet that we are trying to tag along with. English consumers are very good, as we know, at buying and consuming Champagne. But consumers are more and more saying; What do we make in this country? We want to know how its made and where comes from? At consumer fairs and customer tastings, people are now asking me where their local vineyard is. We were at the Winchester Wine Fair a few months ago and people were asking "Where abouts are you?" and we explained that Exton Park Vineyard is located literally twenty minutes away from where we were standing. John: And it makes sense that people could ask the same questions about locality in food, but about their wine? Kit: Exactly. I think that’s key. 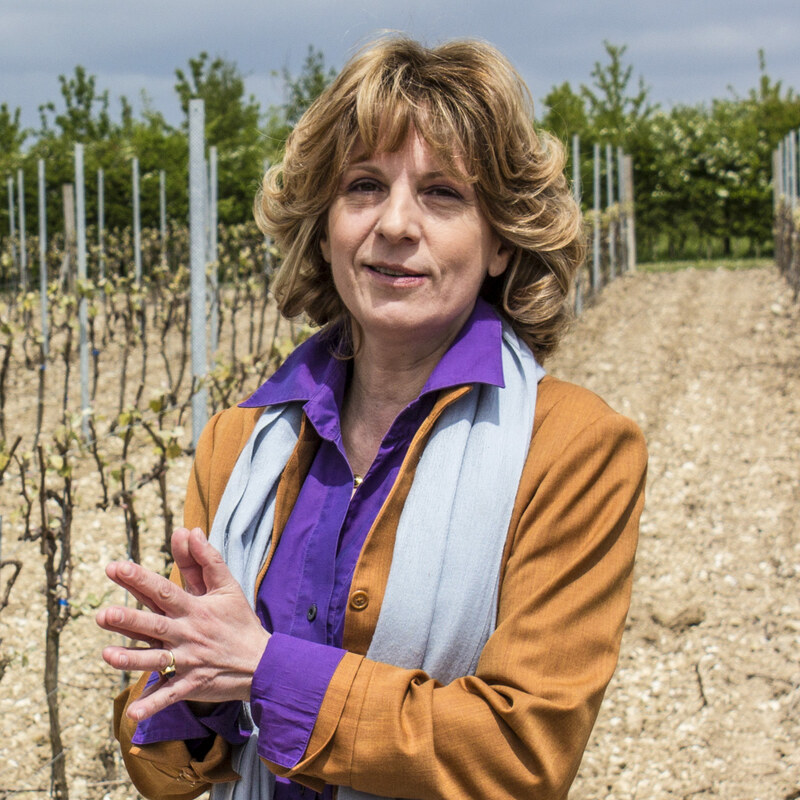 Corinne: I think maybe English Sparkling wine is now the kind of product that people want to pay money for. John: Yes. A few years ago many would say to me “Well, it’s quite expensive!”. My argument is that the quality is often better than what you can buy, in England, in the Champagne category at that price. But it still often feels that people don’t like to pay that premium price if it doesn’t have the Champagne name on the label. So it’s down to wine communicators like myself, and the industry as a whole to tell others what we are all about. This is a different, distinctive product and its worth paying that price for! 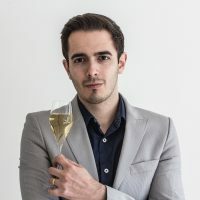 It’s really down to the educating the consumer and forging great relationships and reputation with the sommeliers. Corinne: We need to reach the sommeliers. Since the very beginning, I very much respect this profession. This is a very hard job; you have to be very passionate and work very very hard. So now that the sommeliers really recognise English Sparkling wines as part of wine list, it is the first leg of a long road! 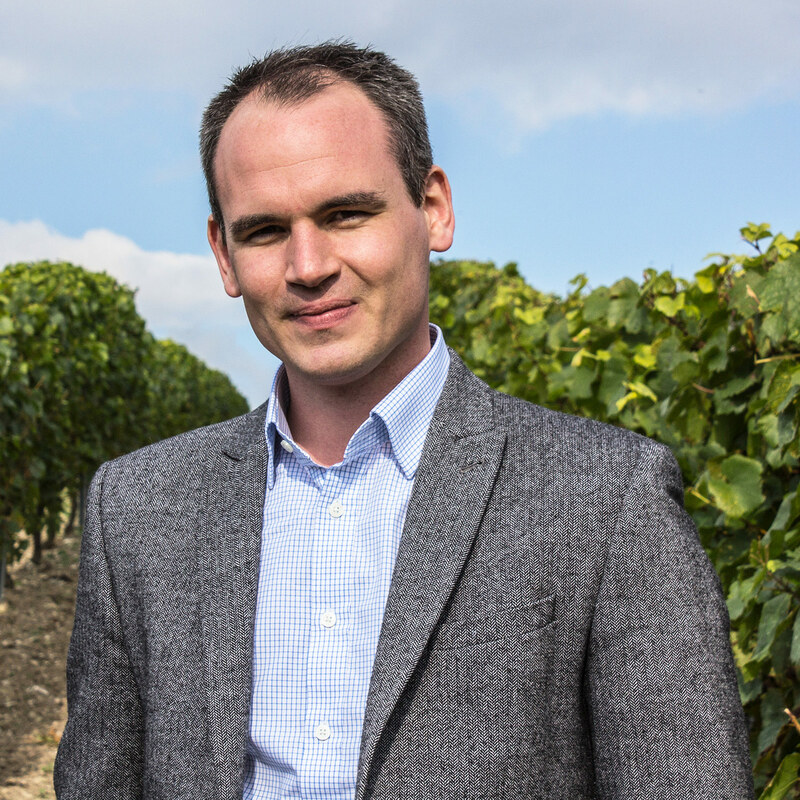 "Now that the sommeliers really recognise English Sparkling wines as part of wine list, it is the first leg of a long road!" 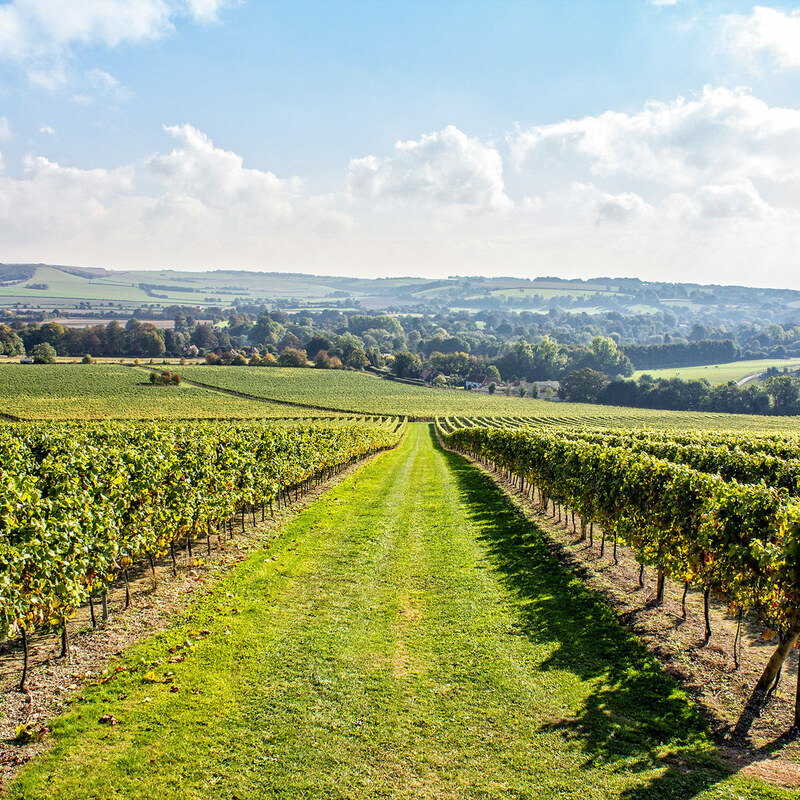 What do you enjoy most about making Sparkling Wine in England? Corinne: That is a very good question! I really want to prove that English terroir can make stupendous wines. I think with Exton Park Vineyard we are close to doing that. 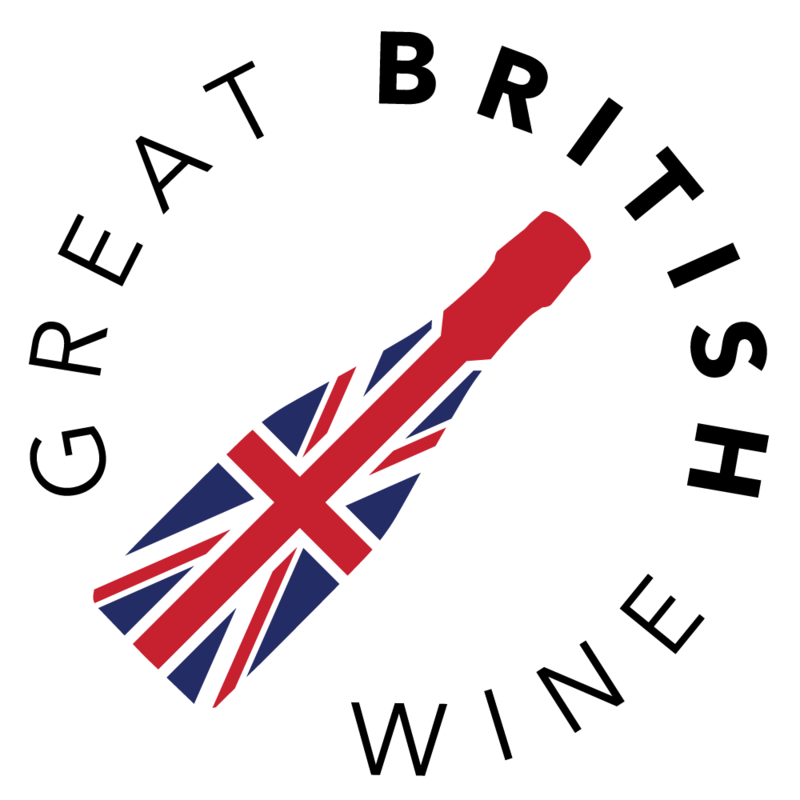 I am, as you know, a French winemaker, so of course it is somewhat amusing that I am here and trying to make the best English Wine in England! It’s not only that, I really would like that one-day people think of buying a bottle of English Sparkling Wine like they could have thought when paying for a Champagne bottle. If one day we are getting there, I think we have really achieved our goal. However, It is very important that people don’t compare an English Sparkling wine with a Champagne. We are not a pale copy of Champagne! 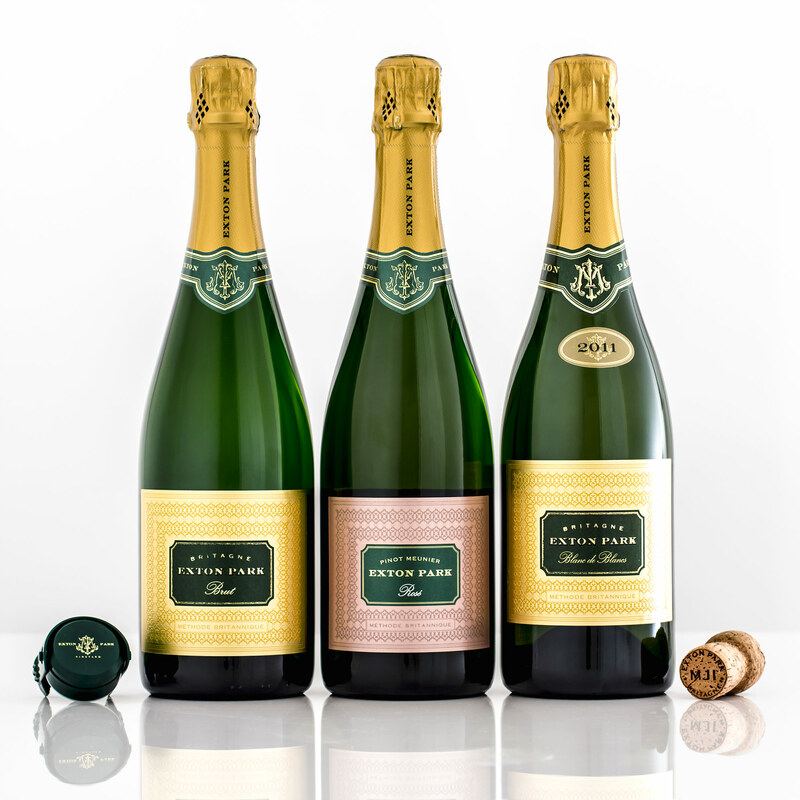 Exton Park has its own identity, its own personality and I’m sure that English Sparkling wines have it. This is the definition of what I want to do and if I can make Exton Park become one of the best ambassadors of the best of England, I will go for that! Kit: One of the key points (Corinne) made to me before, in another interview, is the specific terroir that we have at Exton Park. Corinne, as you know, has been a flying winemaker for many years and has worked with a lot of different terroir; different soil types, aspects and grape varieties. But Corinne she has pointed out many times that our terroir at Exton is very special. Corinne: Very, very special! I hope that tonight we are going to have the opportunity to show this terroir. John: Indeed, it is going to be fascinating to see the response to the wines tonight from people that, I presume, have not tried Exton Park before. "We are not a pale copy of Champagne! Exton Park has its own identity, its own personality and I’m sure that English Sparkling wines have it"
Last year saw the release of some very exciting wines from Exton Park, such as the launch of the charismatic Pinot Meunier Rosé, can you give us any clues as to what we can expect from Exton Park this year? Corinne: You know me better than that, I do like surprises! Corinne: But I would really like to say that I just want to carry on to focus on the non-vintage. I really, really want people to understand that we are able to make consistent quality in our wines. And then we can play a little bit with some little surprises and special Cuvée. At the moment we are thrilled with our half bottles. It was not an easy decision because of course you can lose the freshness, you can lose the flavours, you can lose a lot of things in halves! We had been working on that project for now three years and I think that people can’t be disappointed. I’m very thrilled to have just launched them. Kit: We launched the halves in November in time for Christmas and we are still playing off the back of that. They are doing very well, we had two new listings in the last month with the half bottles, we are really thrilled with those. 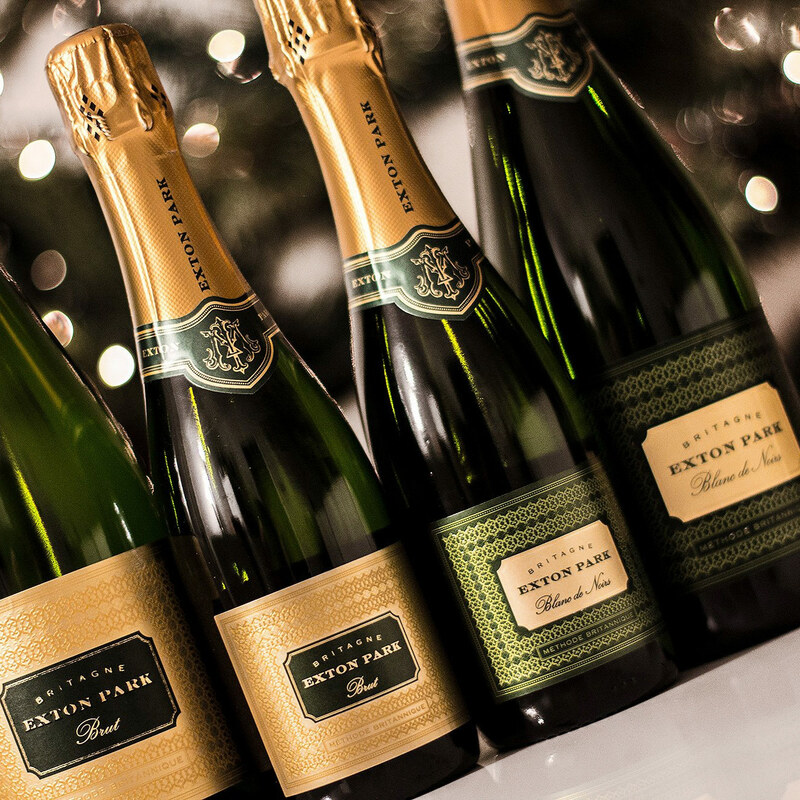 John: It’s a great format and I was impressed with the consistency of both the Brut and the Blanc de Noirs when comparing the full size to the half bottles. Corinne: I’m so happy you think that. John: Yes, we had the first tasting last year before harvest didn’t we? Corinne: It’s a good format for hotels as well I think too. One last quick question about the Non-Vintage approach. Is that something that through the years will get more complex in terms of the blend with reserve wines compared to the current NV releases? Corinne: You know, you asked exactly the same question that my team asked me! I like everybody to be there when it is the final blend. I work on the blends for at least two months, on my own. And then, at the end I need not just advice, but regards and appreciation from the taste from the team. One day the team said “Ah, this is delicious!”. I said “No, it’s too delicious: we need consistency, you can’t go up and down!”. So to reply, and very honestly, more and more I built this library of reserve wines, the more possibility I have to make this consistency. 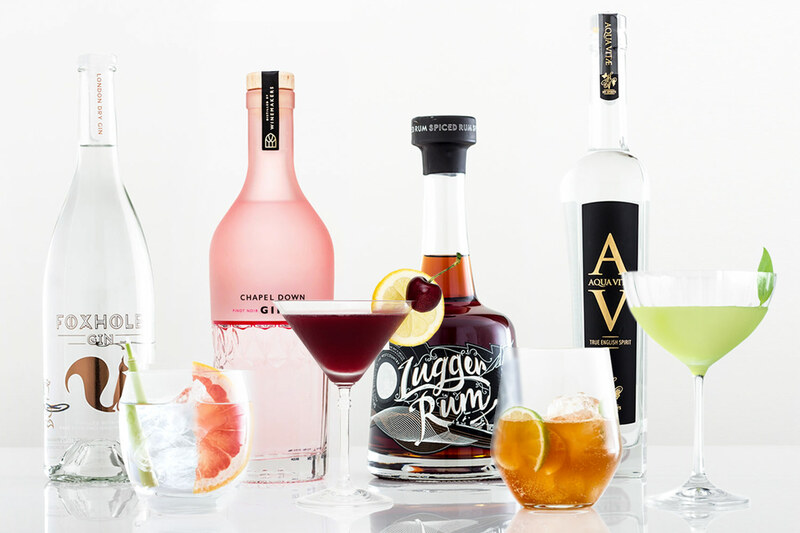 I want the consumer to go the shop and buy a bottle of Exton Park and know what they will get. Kit: How many wines for instance for the last blending of the Brut Non-Vintage? Kit: Thirty-two separate wines! The other thing to bear in mind, and something that we are very aware of, is how the wines develop in the bottle. I think that for Corinne as the Winemaker, and particularly when we are working with the Non-Vintage style, this is always at the front of her mind. John: Well, I am very conscious that we have hungry and thirsty customers waiting, so I just wanted to thank you both so much for taking the time to provide these superb insights. Many thanks to Corinne Seely and Kit Ellen for their time and fantastic insights, Exton Park wines can be ordered directly from their website www.extonparkvineyard.com. 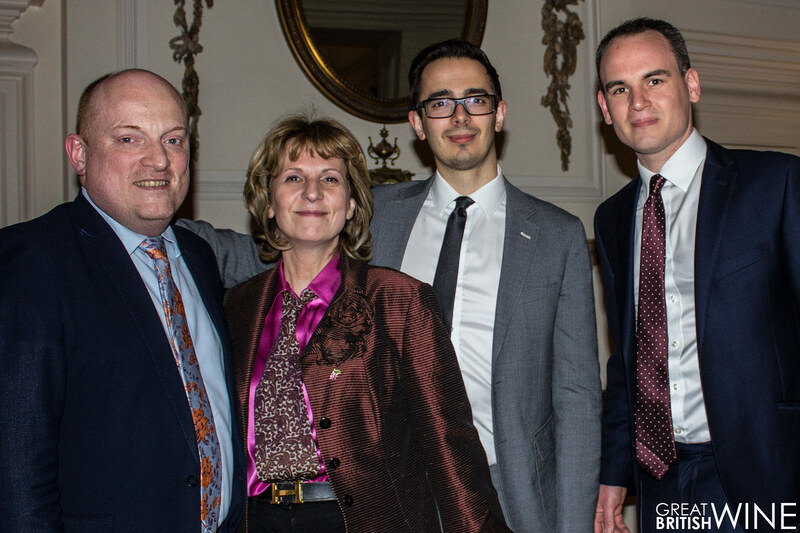 Additional thanks to Frederic Billet, Deputy Hotel Manager and all of the team for their wonderful hospitality at Luton Hoo Hotel.